Amanda M. Schreiner: A Day in the Life: I'll just say I wasn't. A Day in the Life: I'll just say I wasn't. Our curriculum came with some fun little "games." They aren't necessary to learning, and I wasn't even entirely sure what they were ... but this is our first year and a kit sounded good. 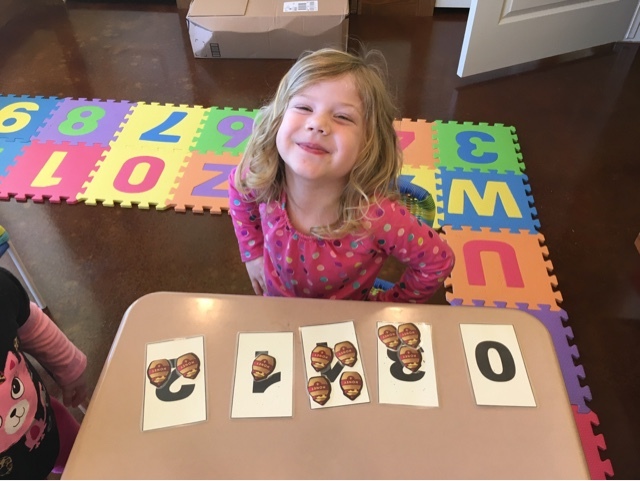 It turns out, Shelby LOVES the games ... they're a type of immediate feedback, a visual and interactive reward. So I'm really glad we got them! Last week I put one up that was a little city-scene with a road. It has several cars to choose from. I moved them along the spaces on the road as Shelby got answers right that day. I told her we'd pick a new car each day and she could race her previous days' cars. She LOVED that idea. The first day, she chose a police car. The second day, she chose a sporty red car. Because she's my daughter she calls it a Corvette. To her, every red car is a Corvette. But hey, she thinks I deserve one for my birthday so who am I to argue? She is a sweetheart. So here we are, racing cars. When she passed her car from the day before, the police cruiser, I said "Uh oh, what if you were speeding???" Shelby Hope said to me, quite matter-of-factly "I'll say I wasn't." A Day in the Life - Some people call it a fork.